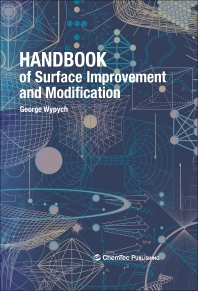 Handbook of Surface Improvement and Modification contains information on several groups of additives and the modification processes which determine the surface properties of many materials. These additives can modify or improve scratch and mar resistance, improve gloss or flatten the surface, increase or decrease tack and inhibit staining. The mechanisms of damage, protection and property improvements are also discussed, making this an essential handbook for engineers, researchers and technicians interested in using additives to modify and improve the surface properties of materials. A companion book entitled Databook of Surface Modification Additives has also been published. It contains information and data on the additives commercially available to improve materials by the above-listed modifications. Both books do not repeat information. In this book, the focus is on the methods and mechanisms which are known to be responsible for the enhancement of material properties with the use of additives.